Customers are greeted by huge antique fireproof doors suspended from a custom-built structure that uses an old I-beam salvaged from construction demolition. Boozer’s Brew offers customers literal and figurative perks. The custom Mack truck counter is a huge hit in the tuxedo department. Most bridal salon owners have their hands full operating one successful small business. Adrian Holland, however, juggles five. 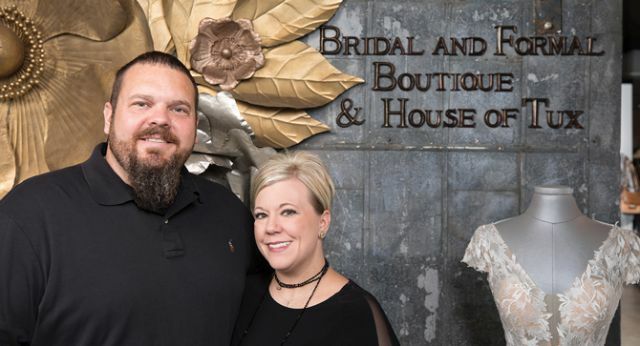 First, there is her bread and butter: Bridal and Formal Boutique/House of Tux, a 12,000-square-foot full-service operation located in Gulfport, Miss. Under the same roof, shoppers also find designer consignment boutique Back on the Rack Upscale Resale, which occupies an additional 2,000 square feet and often helps close a prom or Mardi Gras sale. On top of that, there is the attached 850-square-foot space Holland leases to a coffee shop (a literal and figurative perk for customers! ); her first-ever Back on the Rack franchise in Fairhope, Ala.; and the newest venture: custom fixtures her husband, Chavus, a welder by trade, designed specifically for the store. The fixtures weren’t intended to be a business but due to customers’ overwhelmingly positive reactions, the couple plans to start putting price tags on them and replacing as they sell. In a nutshell, Holland, also a mother of three, is adept at spotting and capitalizing on new opportunities. Her businesses are separate entities and yet in some way they all complement each other. This intertwined approach, coupled with her strong faith, is key to the 35-year-old entrepreneur’s impressive success. And after nearly 20 years in the business, she isn’t slowing down. Holland’s foray into the bridal world began at 16 when the self-described “goody two-shoes” went prom dress shopping with her younger sister, Brandy. Holland made a comment to the consultant that the salon, opened in 1984 by Martha and Jimmy Hollingsworth, would be a fun place to work. She was handed an application. This was 1998. What followed was eight years of Holland working part-time at the bridal shop while also finishing high school, taking two years of drafting at a community college, and working several additional jobs. Although a natural at the salon, Holland never intended to take over the business. In fact, she didn’t even realize that was a possibility until 2006, when the opportunity unexpectedly presented itself. First, a girl she had grown up working with – four years older, favored by the boss, and a more likely candidate to eventually take over – was tragically diagnosed with stage 4 ovarian cancer. She passed away just over a year later. Then, there was the devastation of Hurricane Katrina, which ravaged the area and ripped off the salon’s roof, destroying all bridal gowns. The owner kept Holland on payroll while the store closed for eight weeks for repairs. However, something crucial in her perspective had shifted. So nine months after Katrina, Holland, now 23 and a newlywed with a one-and-a-half-year-old son, accepted an offer to purchase the business. She and her husband second-mortgaged their home for the down payment, jumping in wholeheartedly. Of course, going into business for oneself is rarely a fairy tale. During the first month of ownership, Holland tried to give the salon back. For assistance, she recalled advice the previous owner had given: take every situation and figure out the worst thing that could happen. Then you’ll know how to handle it. Her nerves settled, Holland and her husband set about the long, exhausting task of rebranding the dated business and upgrading its 60-plus-year-old building. 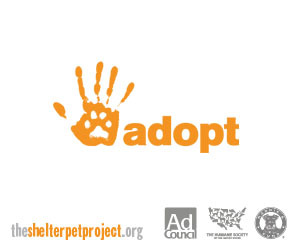 It seemed like every month she was either remodeling something, throwing away stagnant inventory, tearing out walls, buying new designers, or recording TV and radio commercials in attempt to establish a personal connection with potential customers. And it worked, too: Under the Hollands’ ownership, the store, which prides itself on providing superior customer service and excellent selection, broke all previous records that first year. This early success allowed the couple to pay off their loan within 12 months. One of the most unique aspects of Bridal and Formal Boutique/House of Tux today is the fact multiple complementary businesses co-exist under one roof. 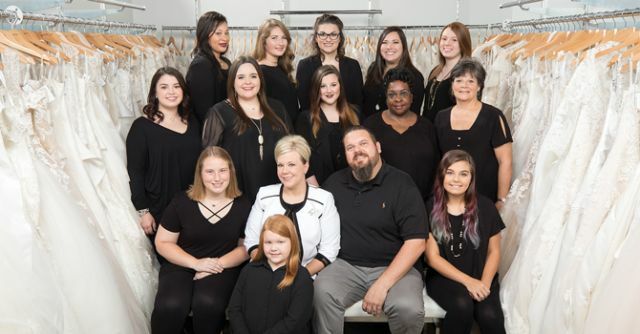 This began in 2013 when Holland, whose then seven-year-old bridal business was booming, noticed a need in the area for fabulous second-hand gowns and a consignment store. Ever the entrepreneurs, she and her husband wanted to be the ones to create it. So on June 5, 2013, Back on the Rack Upscale Retail opened three miles away from the bridal shop in a leased space. Holland, who firmly believes an owner must be active in her business and set an example for employees, would go back and forth between the two, working both stores. Back on the Rack, which specializes in second-hand formals/ cocktails, upscale ready to wear and high-end handbags by designers such as Louis Vuitton and Prada, was an instant success. In fact both businesses were doing so well that the Hollands quickly outgrew their original location. Not everything was wonderful however. In 2011, a bride was killed by a drunk driver in the store’s parking lot (see Most Memorable Moment pg.181). Devastated and struggling to understand why, Holland met with someone from a nearby church. They prayed for Holland’s salvation – and the experience caused a permanent shift in her perspective. Specifically, the fear Holland used to experience over many things seemed to disappear. One of those directions involved finding a new home for the booming businesses. Last year the Hollands purchased a dilapidated warehouse two blocks west of their old store, and began the daunting task of revitalizing it into their dream store. After six months, their contractor handed over the keys in December 2016. 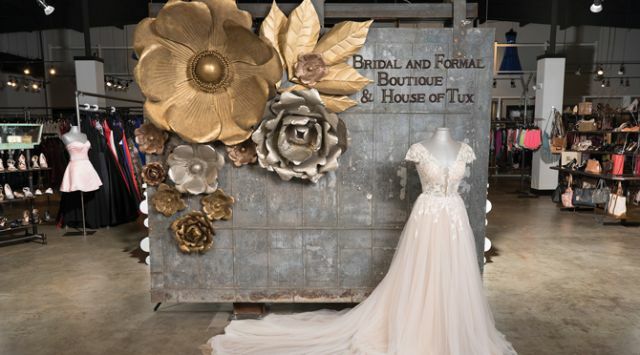 Today, Bridal and Formal Boutique/House of Tux features 12,000 square feet devoted to the bridal shop, which has a large, open industrial-chic feel decorated with custom-designed fixtures. It also includes a tuxedo area that feels more like a man cave and separate full-service alteration department. Back on the Rack, occupying an additional 2,000 square feet, is located on the right-hand side of the building with no physical barrier separating the two. The businesses complement each other nicely, with 90 percent of customers visiting both. Additionally, even though each store has its own staff, employees are trained to give complete tours so customers can see everything that’s available. Holland says Back on the Rack helps to combat girls selling dresses on social media. As well offering consignment on high-end formal wear definitely helps close many prom or Mardi Gras sales. When a mom is debating whether to buy her daughter a $1,200 gown, for example, employees will highlight the fact worn gowns can be brought back after they’re dry cleaned and consigned for about a 25-percent return. “Most people buy based on that theory although it’s so funny - more times than not they fall in love with gown and do not get rid of it,” she says, estimating only about a quarter of girls bring dresses back. 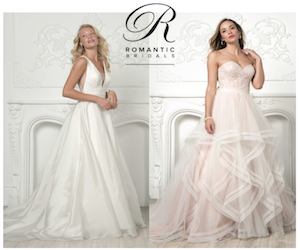 Another benefit to having both businesses under one roof is counterbalancing busy seasons: Typically December is slow for bridal but slammed for Back on the Rack. It had always been part of the Hollands’ plan to have a café or coffee shop attached to their bridal store, not only to help pay the mortgage on the new building but also due to ambiance. That dream materialized on Dec 4, 2016, when Boozer’s Brew opened its doors. 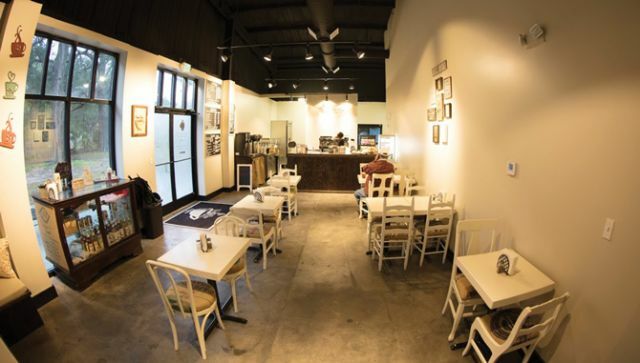 The 850-square-foot coffee shop/café, owned by local entrepreneurs, leases its space from the Hollands. Boozers is attached to the bridal building but also self-contained (so the smell doesn’t get into gowns), featuring a separate entrance, drive thru and second entrance from the store. The café is helpful in many ways, Holland says, that extend beyond mortgage assistance. In fact, consultants have authority to pay for customers’ orders out of the store’s account if need be. And coffee is allowed into the bridal store during appointments, something Holland says hasn’t been an issue largely due to closed bridal inventory and large bridal suites. Another perk: customers who buy from either store can show their receipt same day and receive a 10-percent discount at Boozers, which has a growing clientele. Speaking of brilliant ideas, not only did the first Back on the Rack franchise open in Fairhope, Ala., in July 2015 (“That owner is more successful with her location than we are with ours!” Holland says), but her husband’s custom-designed fixtures have created quite the rage. The fixtures receive so much attention, in fact, that the Hollands have decided to start hanging price tags off them and replacing as they sell. This newest side venture is a way for Chavus, who gave up his welding business to work mostly behind the scenes at the bridal store when it started taking off, to showcase his creative talents. He’s also credited with one of the store’s main attractions: a doorbell in the bridal area that plays “Going to the Chapel.” Brides ring it after saying “Yes” to the dress, and everyone in the store can hear. As Bridal and Formal Boutique/House of Tux celebrates more than two decades in business – and its ambitious owners contemplate future growth – there’s something Holland wants people to understand. One of those challenges, she says, is employees. She’s been blessed with great people, but training is very time-consuming. Additionally, while Holland is a believer in the “treat people how you want to be treated” mentality her mother taught her, it’s been difficult to accept that in the bridal world, that’s not always the case. That said, challenges exist in any business and these are minor blips on another wise very successful, happy radar. Holland, who works in the store 5-6 days a week like a regular consultant, loves helping people and building relationships with customers. Behind the scenes, she will continue working hard, planning for the future and relying on her strong faith. Professionally, she’d love to pay off their new mortgage in 10 years; personally she’s striving to read more. This balancing act – of businesses, family and life - requires hard work and continuous dedication, but that’s something the ambitious entrepreneur thrives on.